We were on our way to watch the latest documentary on Noma - Ants on a Shrimp - and needed to grab a quick lunch beforehand. 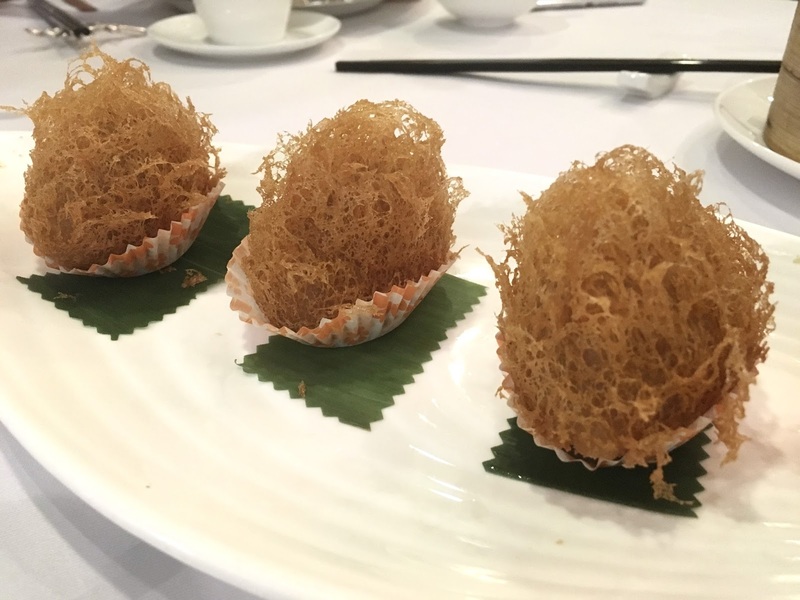 Since we couldn't think of an outstanding eatery around Yau Ma Tei, we figured that we'd just do a quick dim sum lunch somewhere in Tsim Sha Tsui. Fortunately, Sun Tung Lok (新同樂) had a table available on short notice. Given that Mid-Autumn Festival is coming up next week, it was kinda nice to see that the restaurant was serving us complimentary mini-moon cakes with the traditional lotus seed paste and egg yolk. Deep-fried taro dumpling with diced chicken (蜂巢五香雞粒芋角) - FAIL. 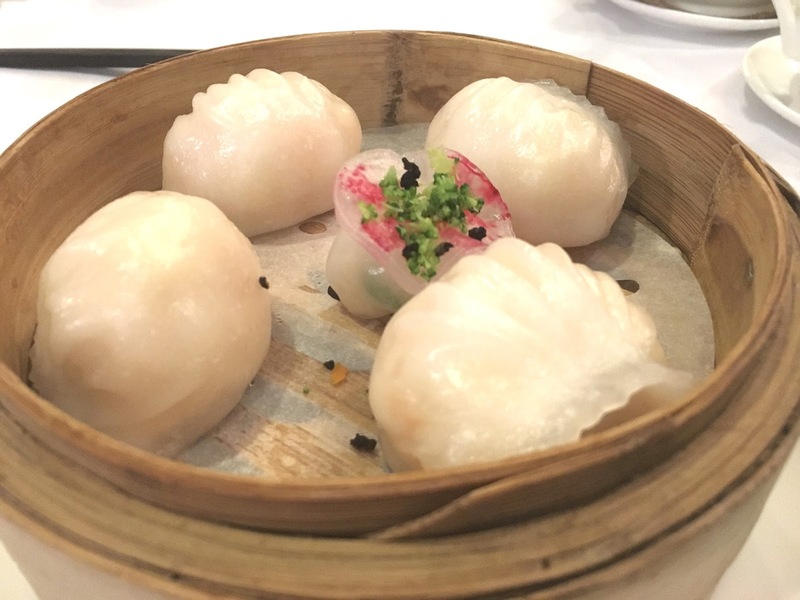 If there's one thing I find unforgivable in this dim sum item, it's baking soda. It tastes foul, and I really don't enjoy it when it find it in most of the Cantonese egg noodles. And it definitely doesn't belong here. It's a real pity because the shells were soooo deliciously crispy and crumbly, but it just tasted awful and I wanted to spit it out. 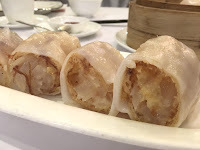 Steamed rice flour rolls with shredded turnip and Yunnan ham (金包銀絲腸粉) - always one of my favorites here. Love the crunch from the deep-fried crullers wrapped inside, which contrasts with the soft shreds of cooked turnip. 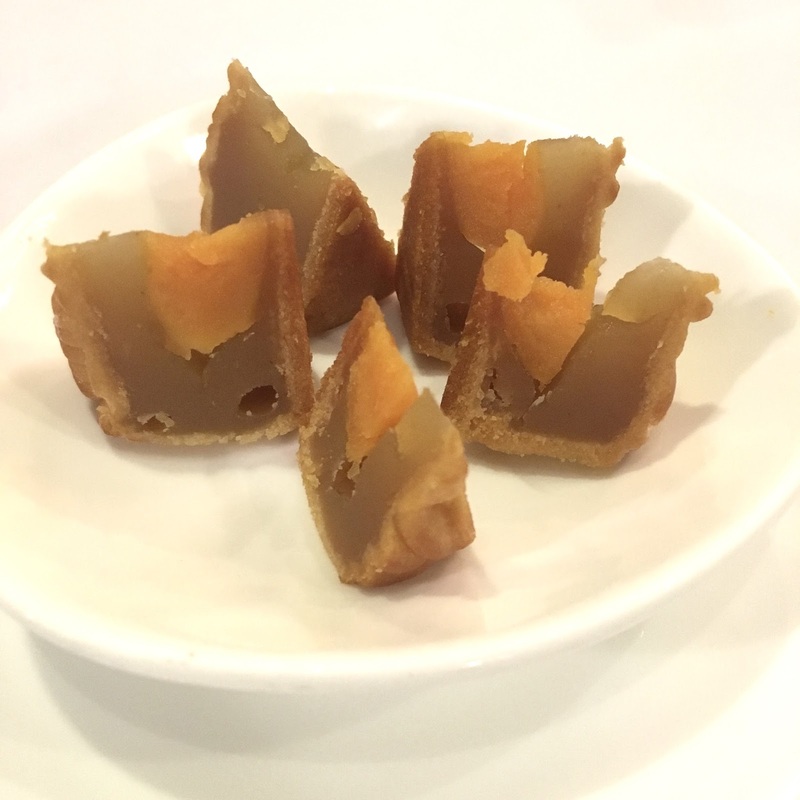 Good flavor here even without the soy sauce we poured on top. 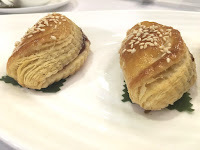 Baked barbecued pork puff (香麻焗叉燒酥) - very nice puff pastry. Delicious. 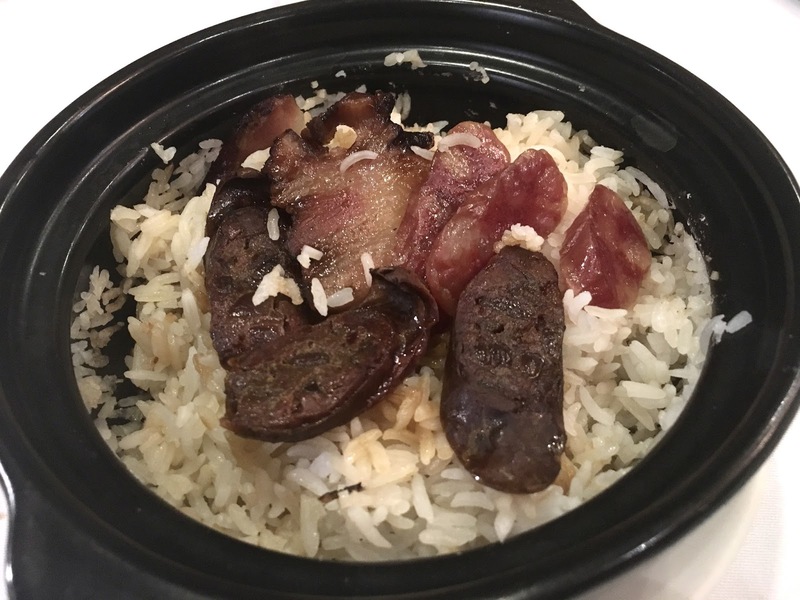 Rice with preserved meat in clay-pot (臘味煲仔飯) - someone finally got to satisfy her craving for clay pot rice, even though this was a small one shared among three of us. 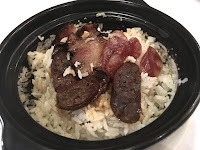 I love the heavy flavors of the preserved meats, and they did a good job with the charred rice crispies on the bottom. Yum.